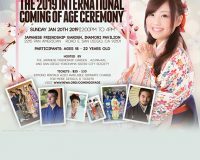 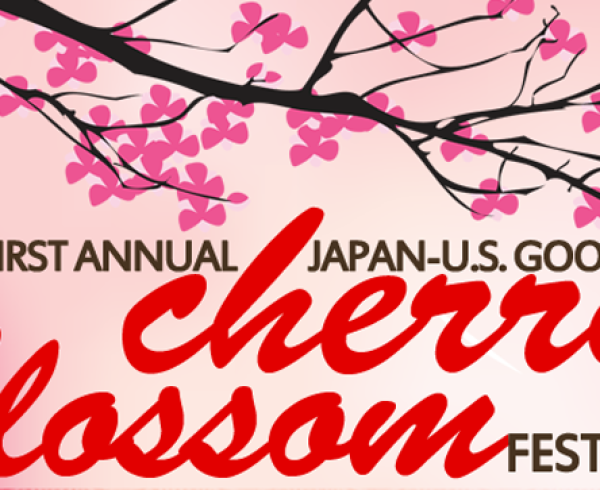 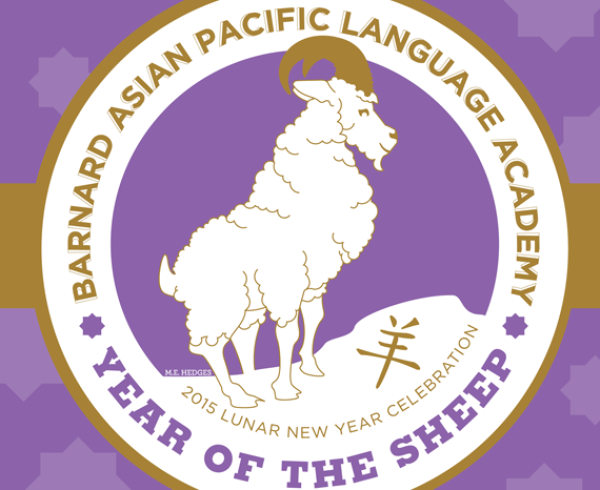 An exuberant reception featuring Rocco, family, and friends: Mission Bay High School Gypsy Jazz Band, Genbu Daiko, freestyle dancing by Kanna Burch, with Live Painting, and special guests at the Japanese Friendship Garden’s Inamori Pavilion. 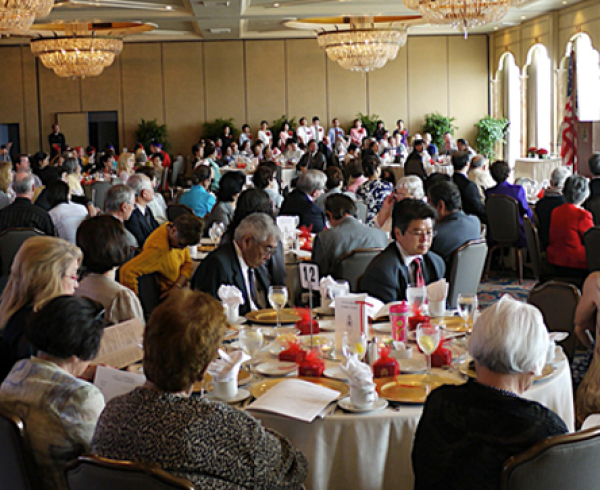 Sponsorship by San Diego Yokohama Sister City Society and Design Consignment Gallery. 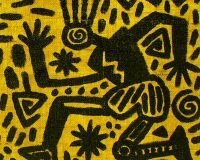 This reception kicks off Rocco’s American Life Tour and Gallery Exhibition; an art collection thought lost and forgotten being revealed for the first time in 28 years. 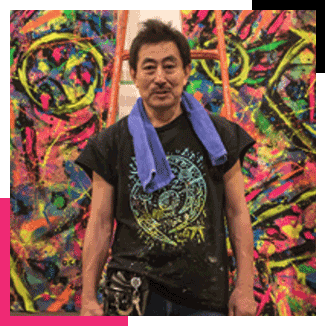 As vibrant as the day they were painted, America’s largest collection of Satoshi Akiyama, a.k.a. 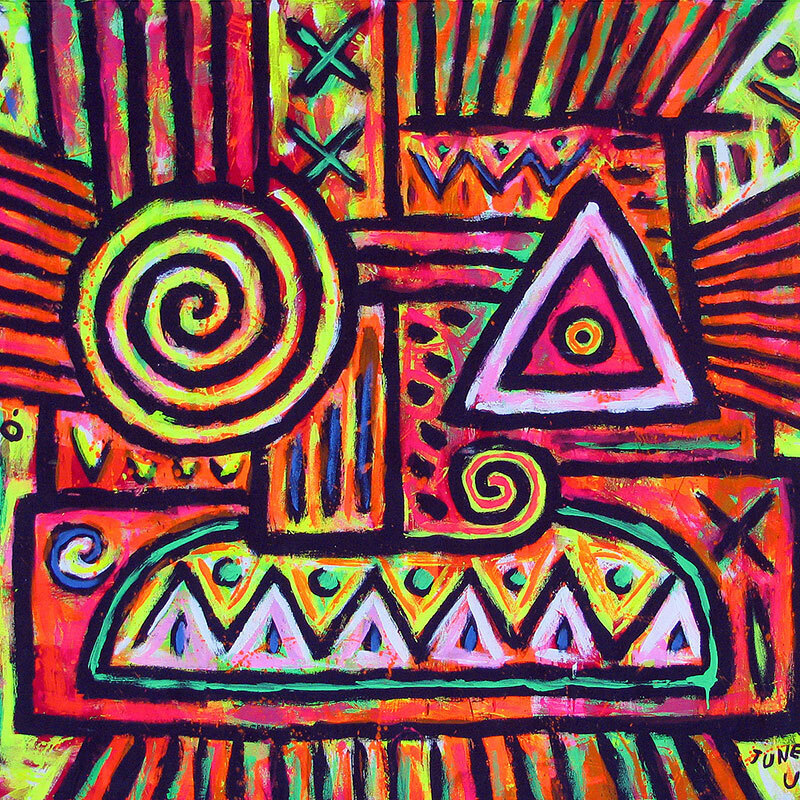 “Rocco”, will be on display at Design Consignment Gallery from September 18 through October 18. 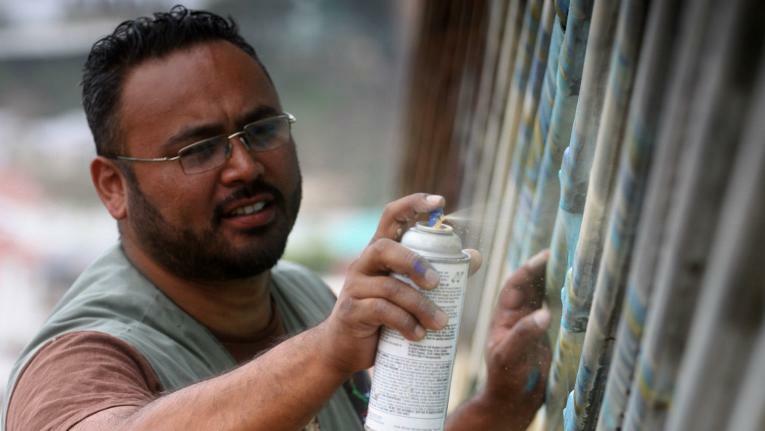 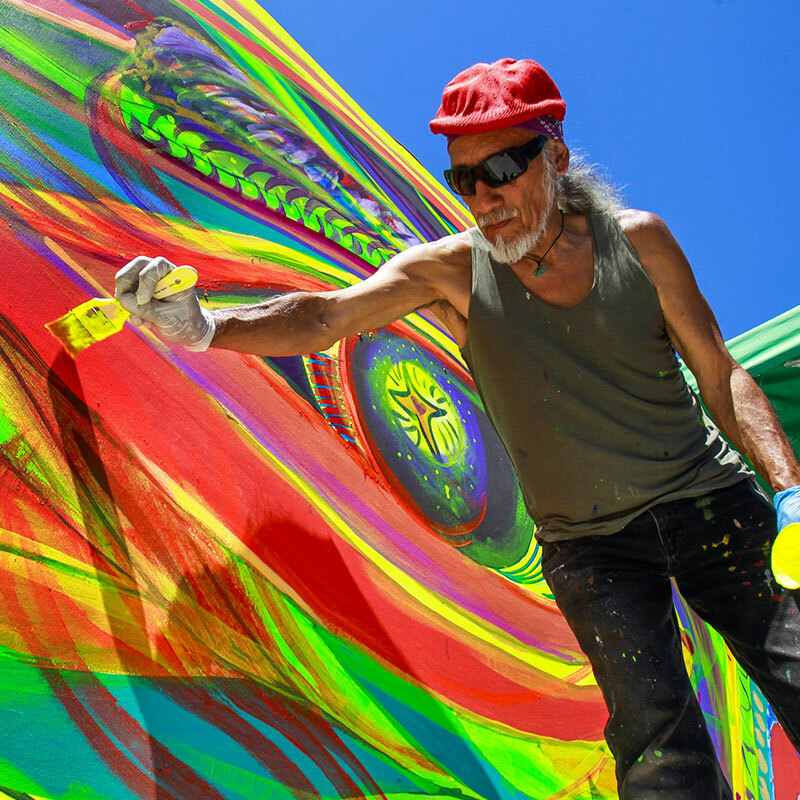 Rocco will be an artist in residence and one of three featured artists from three San Diego sister cities coming together for the first time for public murals, workshops, and events throughout San Diego and Tijuana. 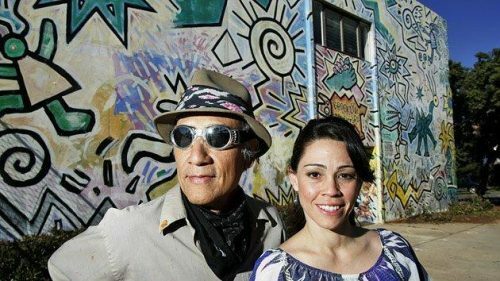 The story behind “Rocco’s American Life” wouldn’t be complete without a reunion with Sister City muralist, Mario Torero of Chicano Park fame. 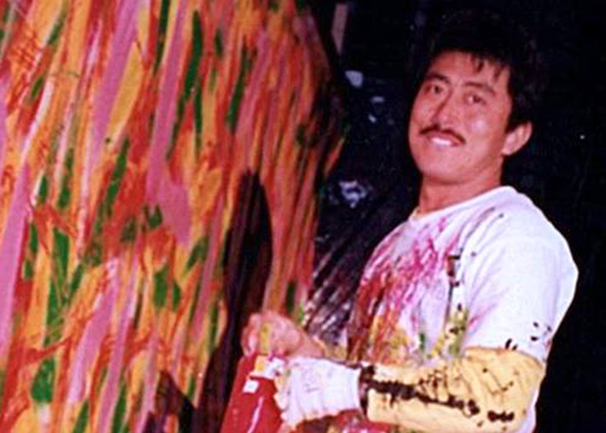 It was Mr. Torero and fellow muralist Ruben Seja who together encouraged Yokohama-based Rocco to come to San Diego nearly 30 years ago for an Art Exchange. 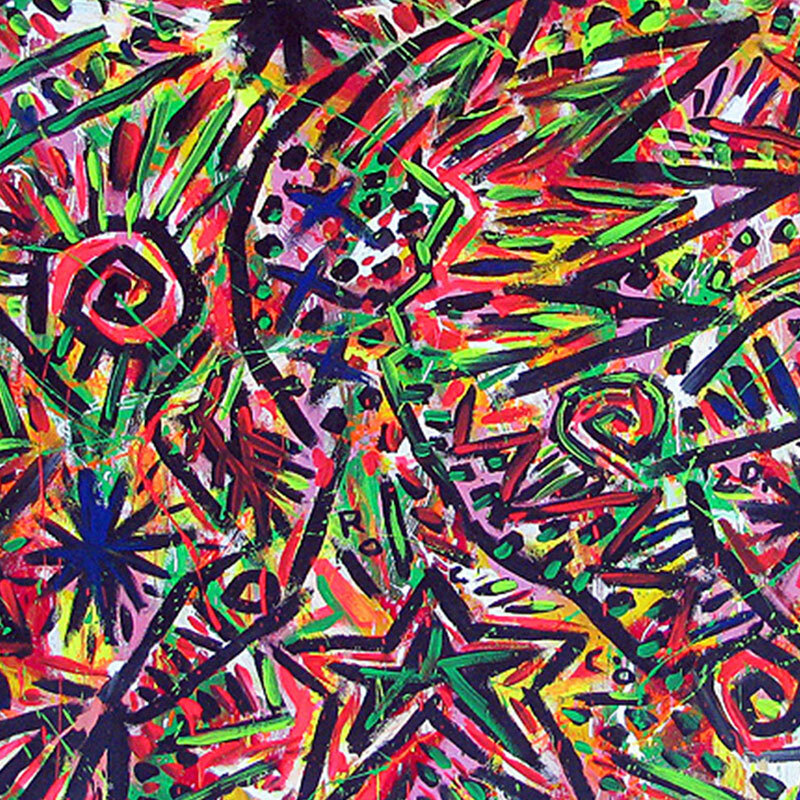 The body of work Rocco created is considered among his best work. 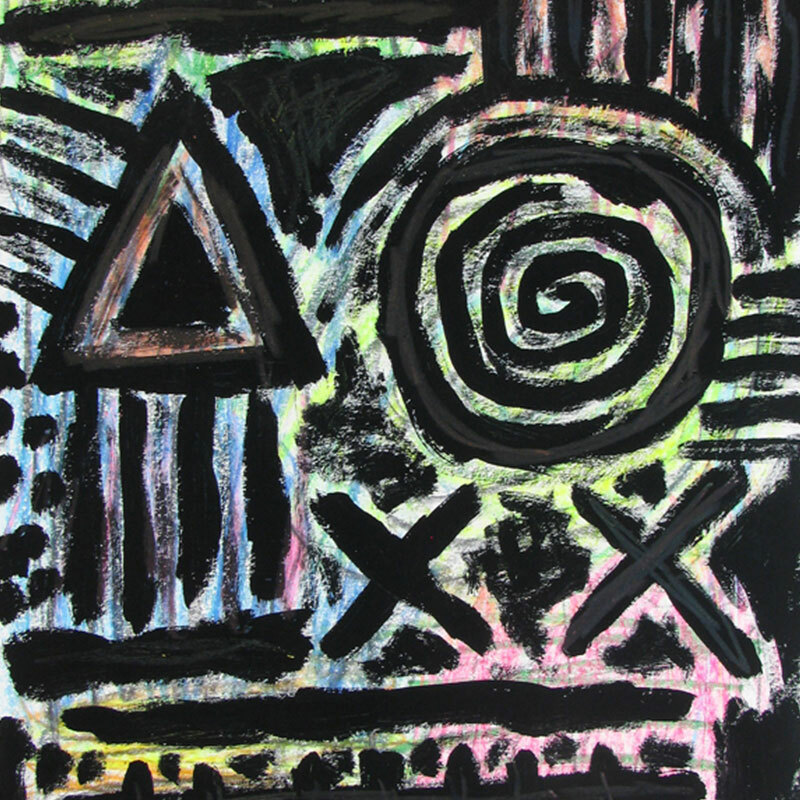 Over 40 large format acrylic on canvas and 80 smaller works are represented in the exhibition. 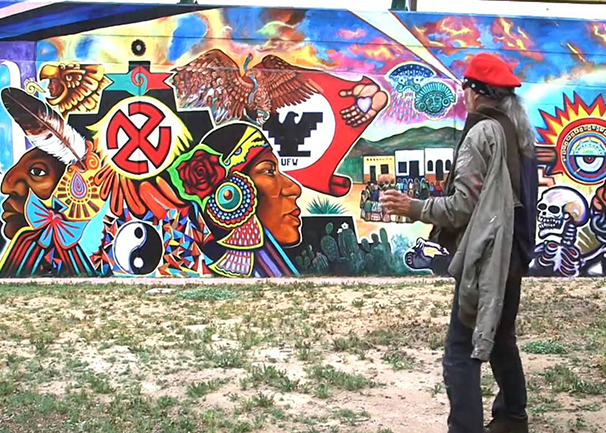 In the early 90s, Rocco and his team painted one of the largest murals in Chicano Park and an entire building at Albert Einstein Elementary School. 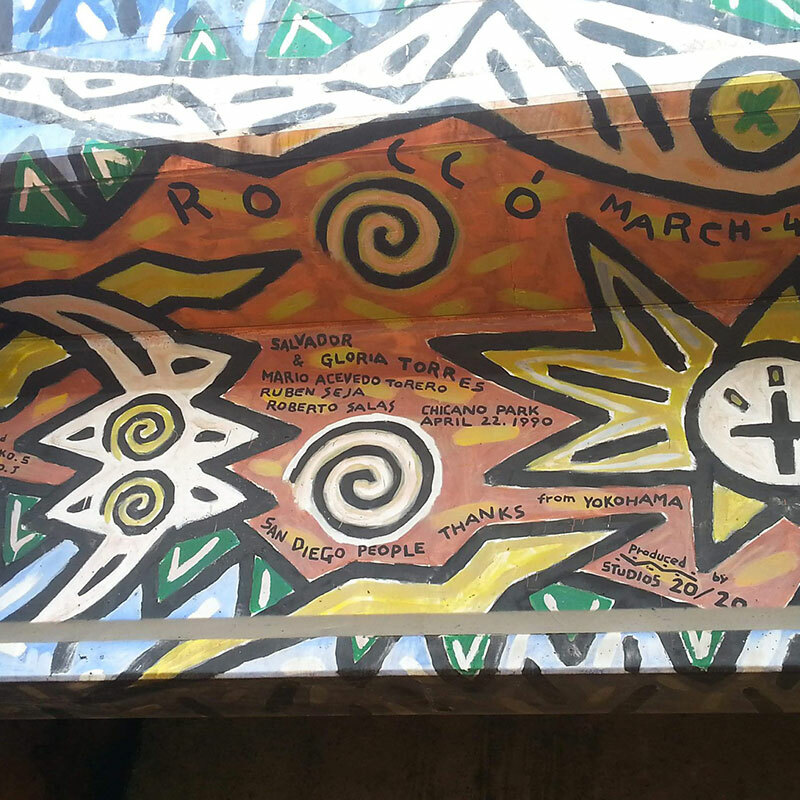 A restoration of the mural by the original artists is one of many projects scheduled during Rocco’s Artist in Residence. 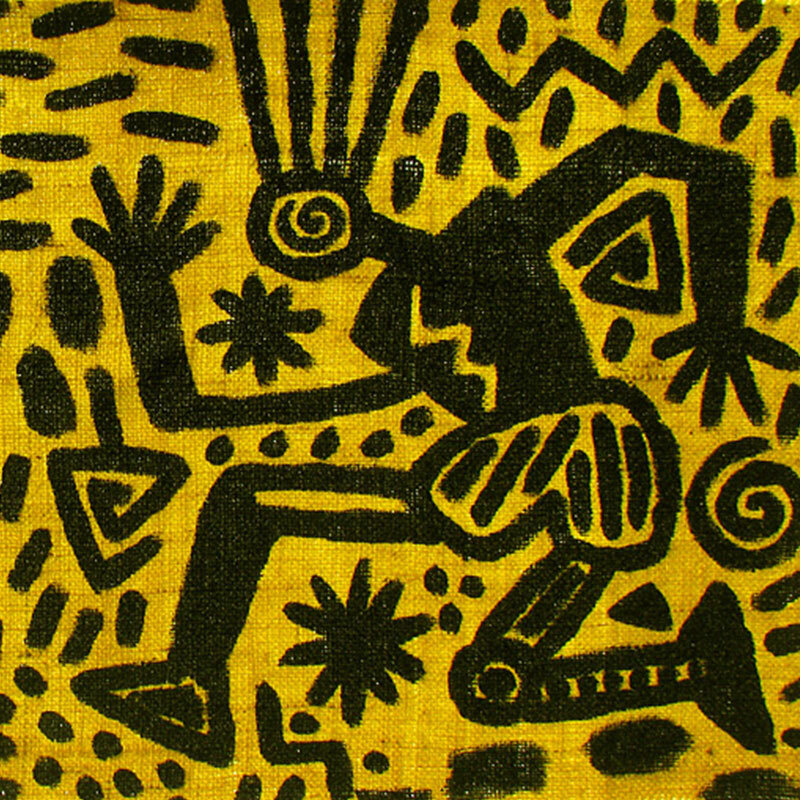 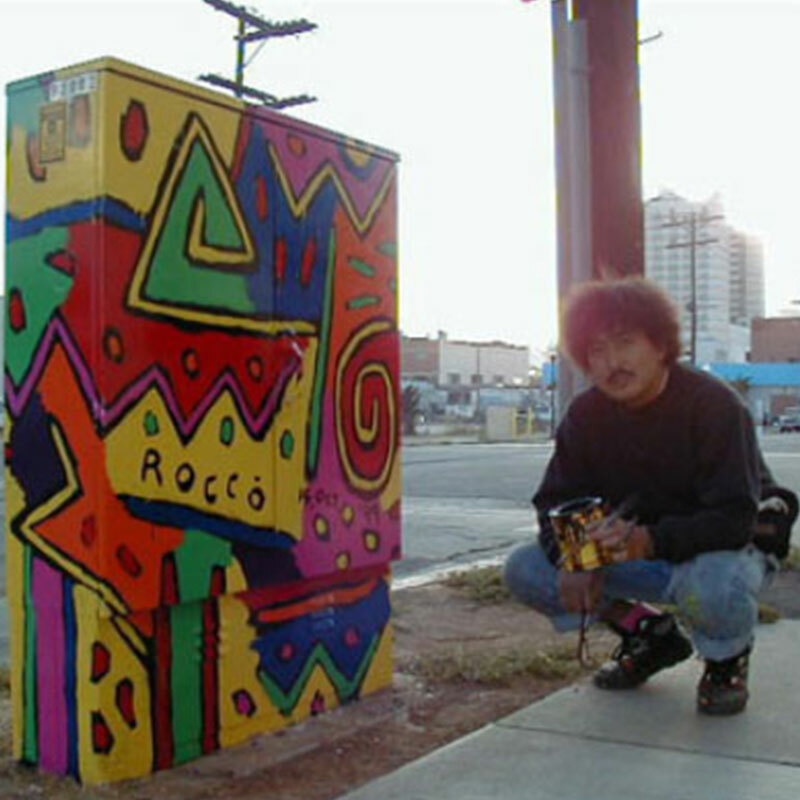 Rocco also produced a large body of work in Tijuana, the third San Diego Sister City represented. 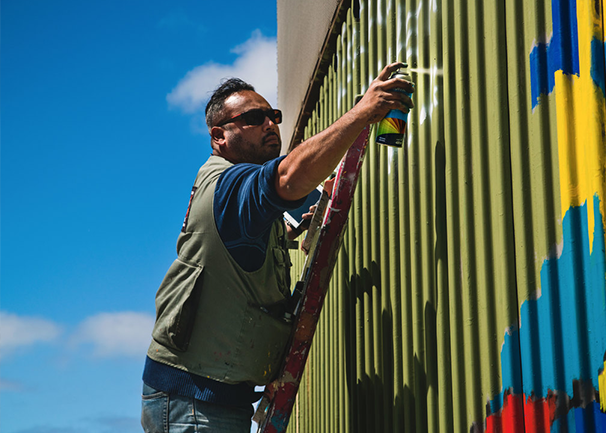 Tijuana artist and border wall muralist, Mr. Enrique Chiu, will be participating in the exhibition side-by-side with Satoshi and Torero. 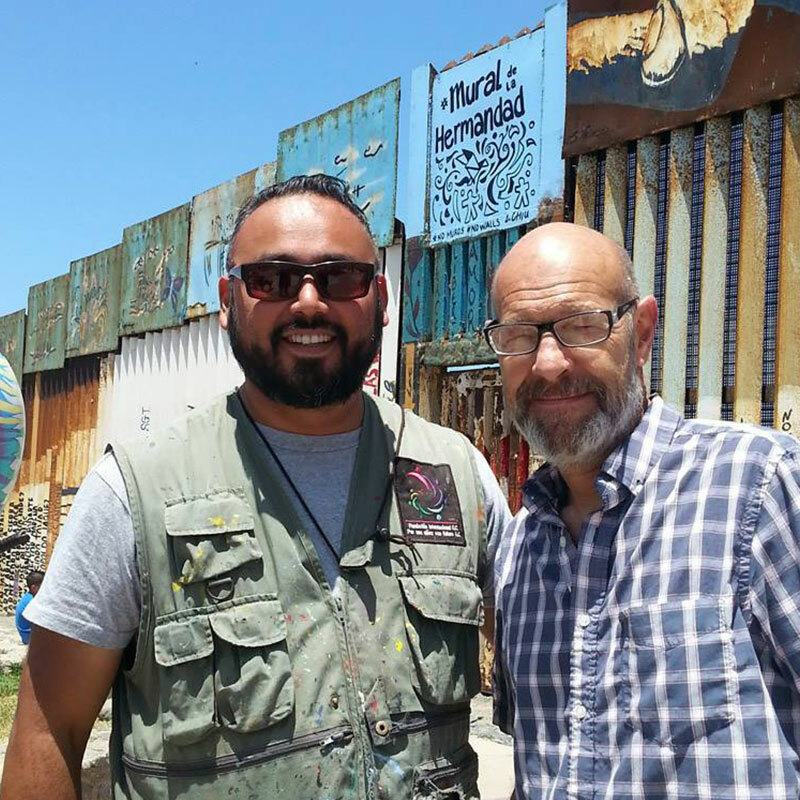 The art exchange climaxes in Tijuana, with all three artists contributing to the US/Mexico border wall project “Mural de la Hermandad” or Mural of Brotherhood, the largest International border art project in the world. 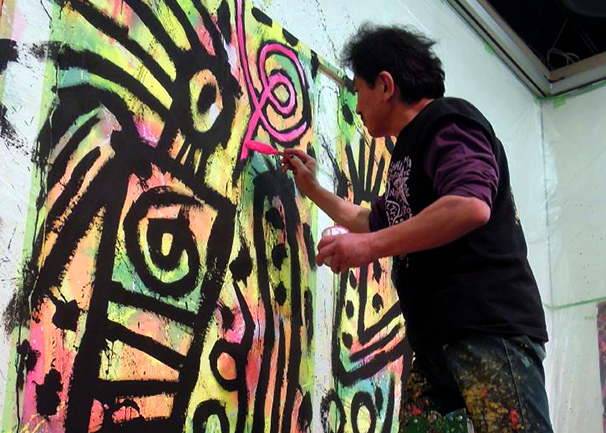 Together these artists represent the best of what of Sister City relationships are all about. 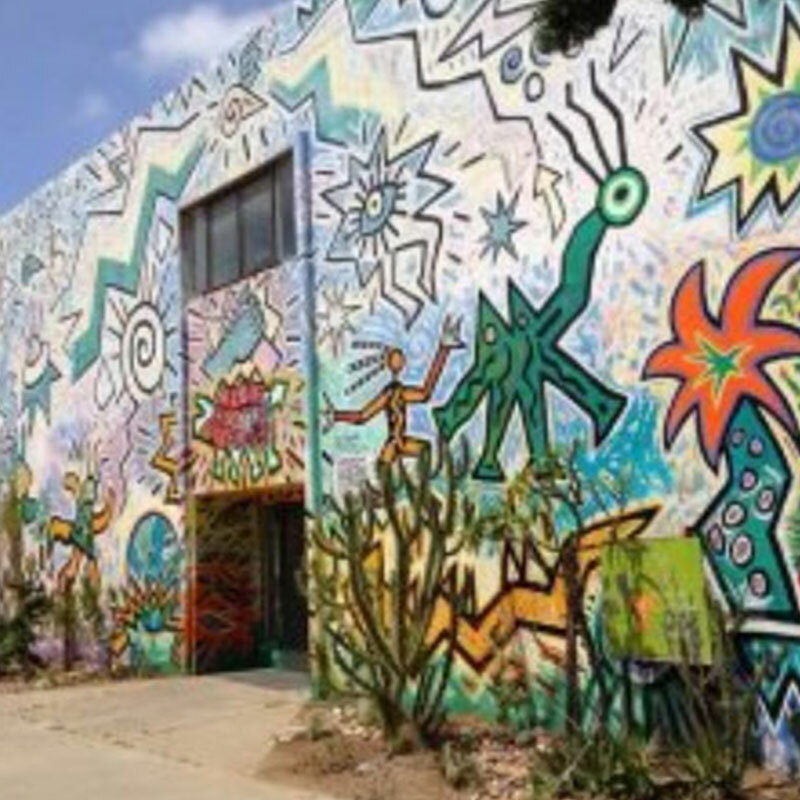 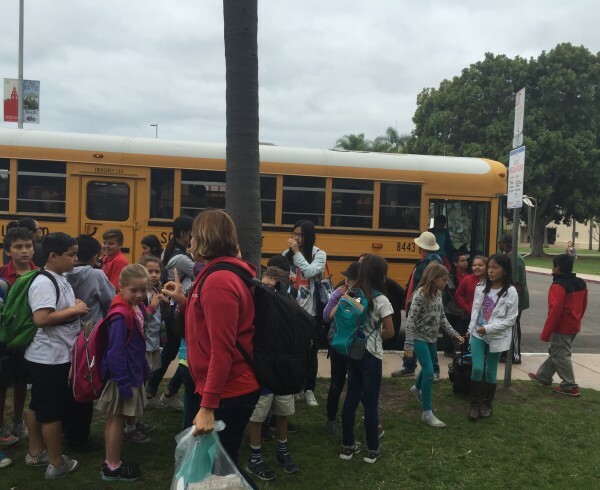 With these new contributions to San Diego and Tijuana’s public art, they set an example of how an artistic legacy is established to the delight of future generations of artists and the public. 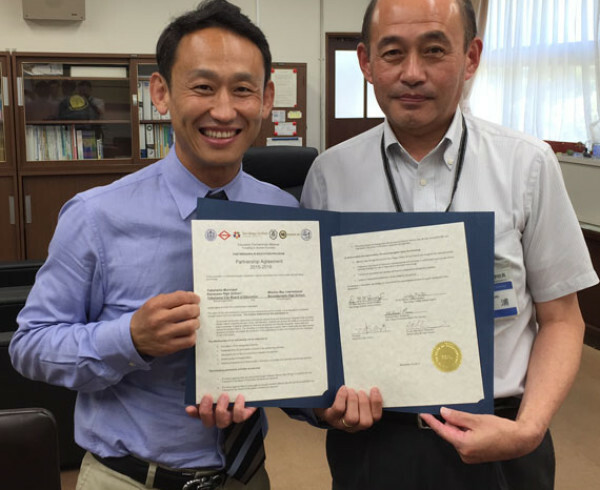 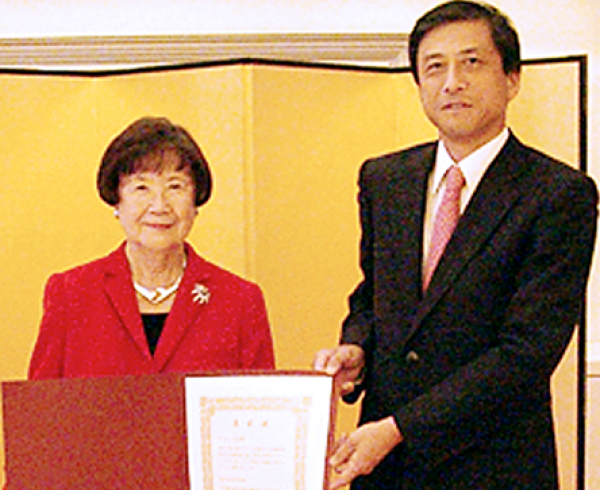 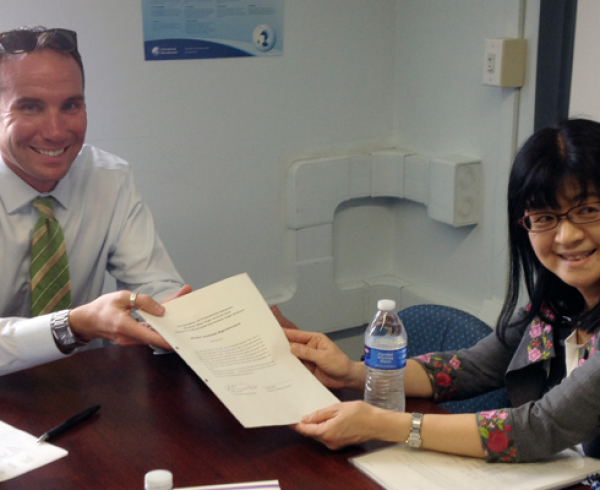 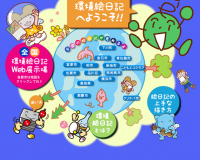 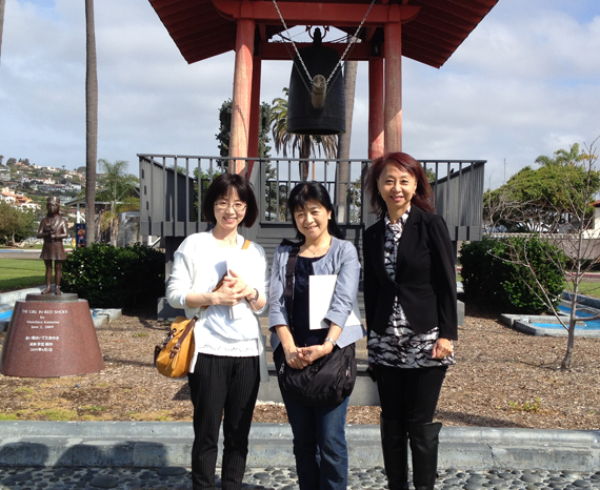 A portion of gallery sales will be dedicated to the San Diego Yokohama Sister City Society.